Noman Al-Juneidi Food Industries wanted to build excitement on a budget for a new fizzy yogurt drink. Using Knox Configure, they branded Samsung smartphones with a custom boot-up animation and gave them away as prizes. This provided indirect advertising to help drive sales of the new drink and spread brand awareness. Officially established in 2008, Noman Al-Juneidi Food Industries-Jordan specializes in food and beverage products. It continues to expand by offering a wide and innovative range of high quality products across Jordan at affordable prices. Noman Al-Juneidi Food Industries of Jordan wanted to introduce a new fizzy yogurt drink product as a soft drink replacement. However, consumers tend to be cautious about adopting new products. They drink lots of yogurt-but not mixed with soda. Given the risk factors, the food company wanted to keep the marketing budget small, but also wanted to motivate people to try the new drink and tell others. What they wanted was a promotion with the potential to go viral. Al-Juneidi promoted the massive giveaways on social media, announcing that every purchase of a Yogo Trago fizzy yogurt drink represented a chance to win a Samsung phone. Customers who found a lucky bottle cap could exchange it for a new device. The company chose Samsung Galaxy smartphones, cost-effective devices that could be rebranded using the Knox Configure solution. With Knox Configure, the company remotely configured 1,000 Samsung devices and easily tailored them to meet their needs. Each phone was configured with the Al-Juneidi logo displayed on the boot-up animation, plus home and lock screens. The devices also displayed a MP4 video ad featuring the Yogo Trago drink. The logos cannot be deleted, even after factory-reset of the smartphone, which helps Al-Juneidi maintain its branding. Knox Configure's intuitive user interface made it easy to configure the devices remotely without opening their boxes. 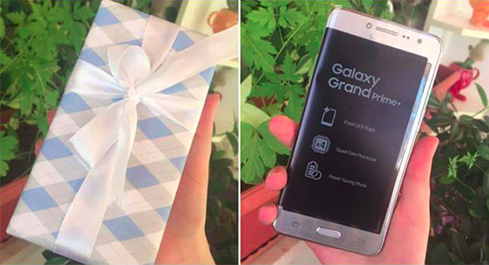 As a result, each winner received a new phone in the original box, preconfigured with the AI-Juneidi brand. Giving away 1,000 Samsung smartphones branded with our logo helped create a lot of excitement...Samsung Knox Configure made it easy for us to include our branding and build a connection with customers long after the giveaway was over. The Al-Juneidi-branded phones allowed the company to experiment with an innovative marketing approach to building sales, brand loyalty, and brand awareness. The phone giveaway helped drive sales of the new yogurt drink, as consumers bought drink after drink to win a phone. Winners told their friends and family, and posted their thanks on the Al-Juneidi social media pages. These referrals represent potential new drink customers. 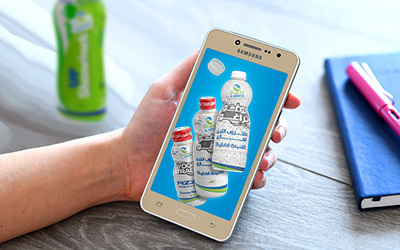 Every time a winner turns on and uses their smartphone they see the branding and animation and are reminded of the goodwill that Al-Juneidi created with its new yogurt drink.